The Training Centre set up by the world leader in machinery and industrial components is the culmination of a journey that from the very start has aimed to generate expertise that keeps up with new technological challenges and to pass it on to the sector's professionals worldwide. Its inauguration comes just ahead of the “Smart&Human Factory” 2019 Open House (31/01 - 2/02) dedicated to the smart, digital factory integrated with industrial and collaborative robots in response to woodworking company requirements. “Campus”, inaugurated on Monday 28 January, at the new Villa Verucchio (Rimini) site, with representatives of the leading institutional authorities and school, professional and university educational organisations in attendance, is designed to coordinate and promote all activities for developing the professional, technical, operating and management skills of the 4,000 people currently working for the group at the three large production centres in Italy and the more than twenty foreign branches. Depending on requirements, some training courses also extend to dealers and end customers of the Scm Group network. But there's more: this centre is a reference point for Secondary schools, Universities, the various Professional training bodies and Business Schools with which Scm Group already works in Italy and abroad on alternating school - work projects, apprenticeships and joint training initiatives, making available the high-tech aspects of its machinery and the know-how of its professionals. A further objective is to help to develop skills which promote technological innovation in the various sectors in which the group's companies are now selected as partners all over the world: from the furniture industry to construction, from automotive to aerospace, from boats to plastic processing. 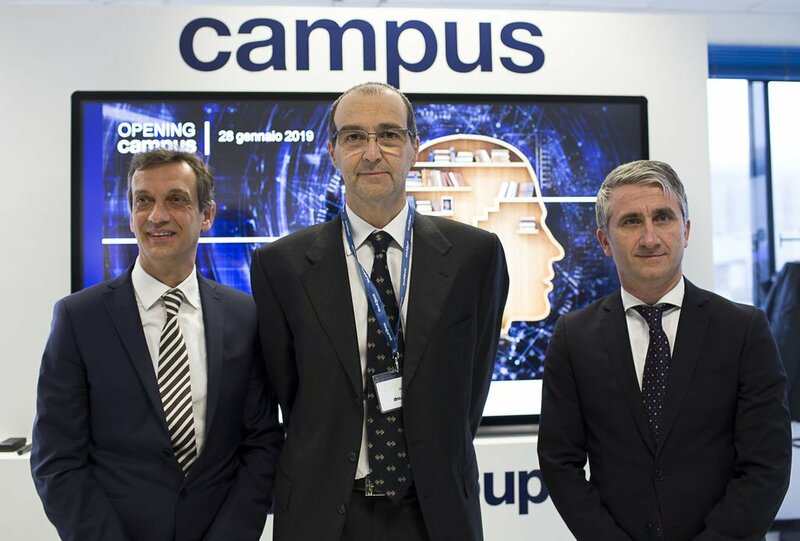 That's why it's no coincidence that “Campus” is being inaugurated on the eve of another important event in terms of innovation and training: the Scm “Smart&Human Factory” 2019 Open House. This event, at group headquarters from 31 January until 2 February, will attract thousands of visitors from all over the globe, both sellers and customers, presenting to the woodworking and furniture industry the factory of the future with the latest technological advances integrated with industrial and collaborative robots. - “Welcome”: aimed at all new employees at the onboarding stage. There is a theory phase in the classroom, covering the group's core business, and a practical phase with a shadowing period. - “Technical Training”: supports specific technical training for the group's various technologies / product lines, the installation and maintenance methods for machines and/or systems, plus industrial and commercial processes. Includes targeted paths for safety aspects and new technologies. - “Leadership”: is for young graduates, people with proven technical expertise and managers from all company departments, allowing them to keep adding to their managerial, economic and relationship skills. - “Focus on”: includes special projects, for acquiring know-how and innovative and strategic working methods, as well as for supporting the network of employees and collaborators through times of major organisational change. 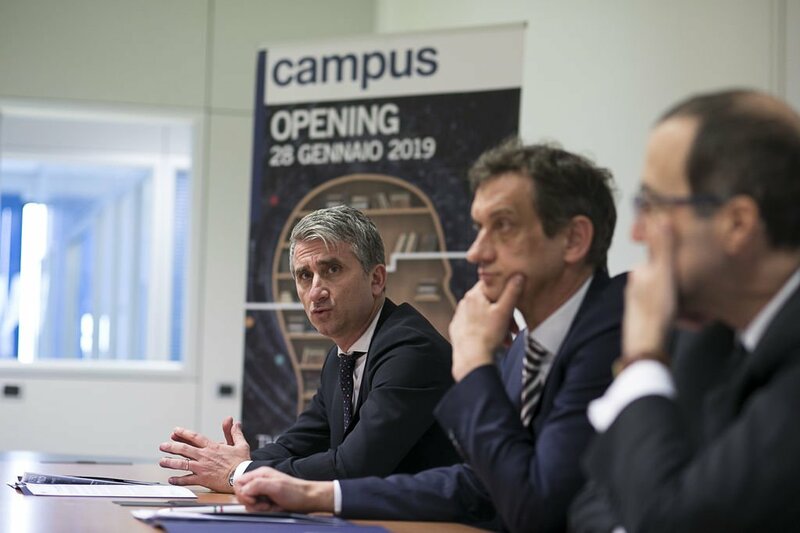 Therefore, “Campus” is a dynamic Training Centre, able to adapt what it supplies according to the challenges posed by technologies and the market. A Centre coordinated by the Scm Group HR and Organisation Dept., with trainers both from within the Group and from outside it, including freelancers and lecturers from leading Universities and Business Schools. “Campus” is spread over a total area of 1300 square metres, with 9 classrooms, offices and a Training Centre set up with Scm machines, dedicated to training support technicians. We predict that, during 2019, 500 courses will be provided, amounting to 52 thousand hours of training and involving around 3,200 participants. Priority subjects will be digital developments in manufacturing and Industry 4.0 and the training of support technicians. Training is in Scm Group's “DNA”. The group's founders were labourers and technicians, from the Aureli and Gemmani families, who were brave and motivated enough to “work on themselves” and who have always wanted to pass that belief on to subsequent generations. Scm Group's “Campus” continues and relaunches a long tradition of projects and relationships. Italian universities with which Scm Group works on apprenticeships and joint training schemes include Bologna University (also the Rimini and Forlì-Cesena sites) and BBS - Bologna Business School with which it designed the Master in Internet of Things (first edition in 2018). The group also has active relationships with Cattolica University in Milan, the universities of Ancona, Bergamo, Padua and Turin Polytechnic for the new Master in Timber machining for construction, which started in the autumn of 2018 and is for level 2 Architecture and Engineering graduates. Plus, the brand new Faculty of Engineering for Wood Technologies at the University of Bolzano. The group also works with foreign universities, from Rosenheim University, Germany, to Moscow, St Petersburg and South Bank University, London. Scm Group now also supports the diverse professional training sector, in the various machinery and industrial component sectors, helping teachers and students to stay up-todate with the most advanced systems and the latest-generation digital services. The Scm Wood Division alone has supported in terms of technologies, machines, software and know-how, changes to a great many professional training centres, of which 4 in the last two years. Some of the most important experiences currently active include: the new Federlegno Arredo Training Centre, inaugurated last November at Lentate sul Seveso (Monza-Brianza) attended by more than 400 young people; the Carniello Institute at Brugnera (Pordenone) which enrols 90 students each year; the Fermo Solari state secondary school at Tolmezzo (Udine), specialising in teaching timber machining for construction. Abroad, the group has links to schools well known in the sector, whose students can specialise and learn the secrets of the trade by working with Scm solutions: from the Enstib - Ecole Nationale Supérieure des Technologies et Industries du Bois (National Secondary School for Wood Technologies and Industries) linked to Lorraine university, France, to College Cerritos and Laney College. California. Since 1980, for two decades the group had its own school, the CSR Training Centre, which trained a total of around 4,000 people, from 40 countries. It was a centre of excellence that was unique in Italy, the recipient of several international awards, gaining a reputation as the second-ranked private school for woodworking worldwide, second only to Rosenheim. Over twenty years it was awarded a large portion of public funds for regional and national training. That was the starting point for several of the Group's current collaborators, now even in management roles. It also laid the foundations for all of the training activities that still go on today.